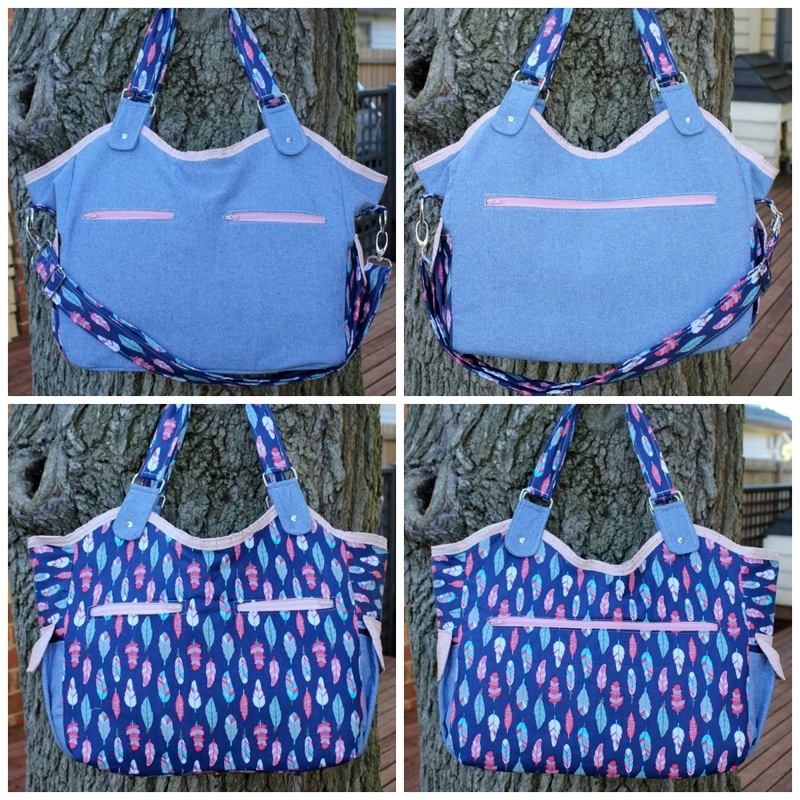 Over the weekend I released my new pattern the Ingenious Tote. - The Ingenious Tote is made up of 10 smaller pockets, plus the main bag area - so there is a place to store everything! 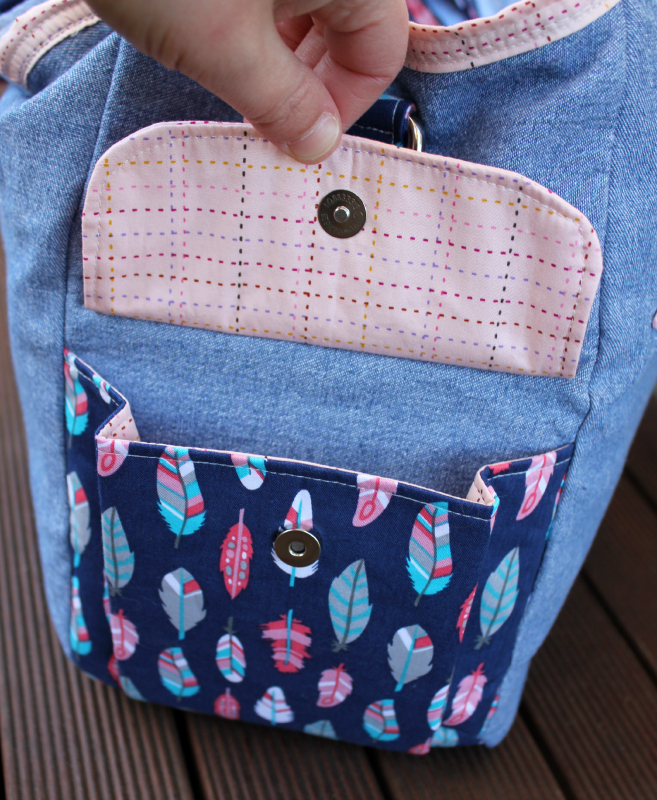 - The pockets include 2 large zip pockets, 4 small zip pockets and 4 gusset pockets with magnetic closures. 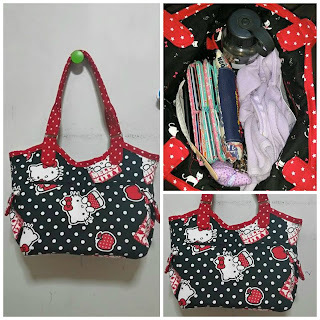 - This Ingenious tote bag pattern has instructions so that you have the added choice to make it REVERSIBLE, so if you choose to make it this way you are really getting 2 bags in 1! 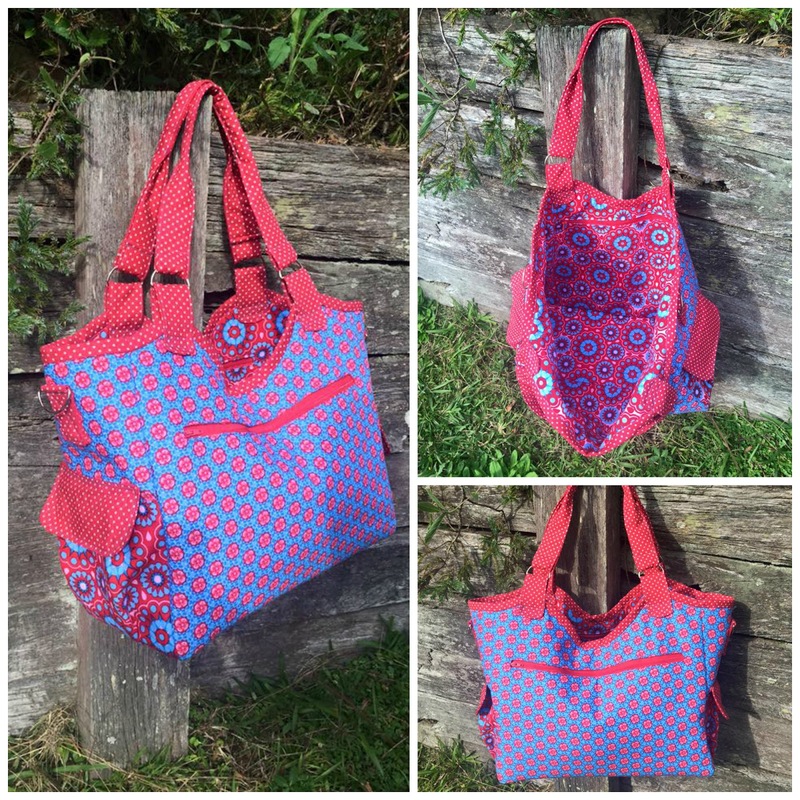 - The Ingenious tote is made with really comfortable shoulder straps; in fact there are 2 styles of shoulder straps to choose from when making your bag! - The Ingenious tote includes instructions for installing bag feet, so the base of your bag is less likely to get wet/dirty from being placed on the ground. - Adjustable strap instructions are also included in the pattern so you can carry the bag hands free. 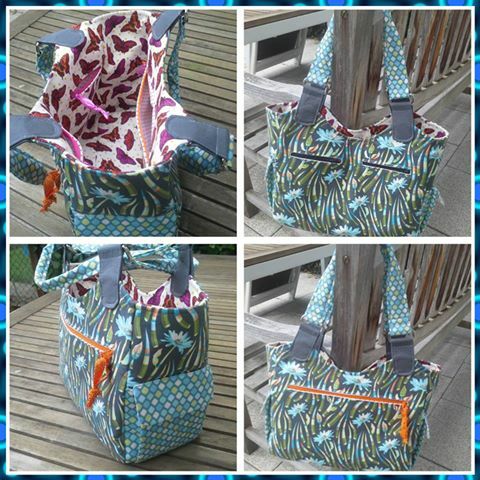 The Large Ingenious Tote makes a great nappy bag, beach bag, travel bag or large everyday bag. The Small Ingenious Tote makes a fabulous everyday bag with a place for everything! 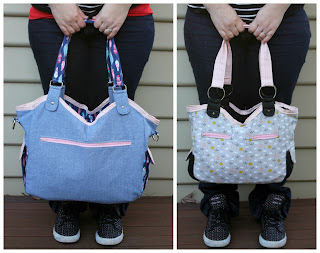 Now let's have a look at my wonderful testers bags! This is Susie's Large and reversible version. Susie used canvas for main sides, homespun for the pocket linings & Liberty for the binding. 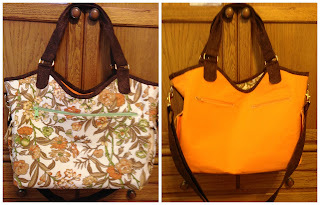 Susie had this to say about her tote, "LOVE IT!! The size of this one is one that I have actually been looking for, for ages! It’s the perfect bag to take to my mums as she lives far away, take on a long day drives, or long days of shopping, or to the Zoo." This is Melisa's Small non-reversible version. 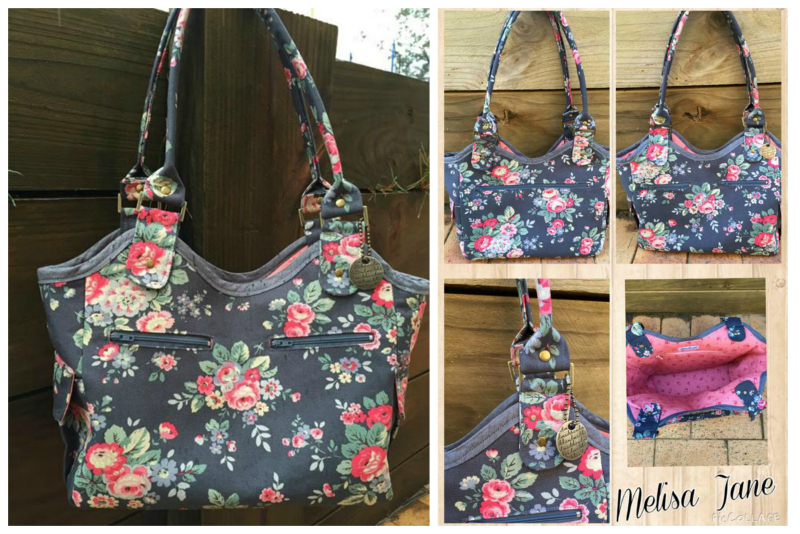 Melisa used Cath Kidston canvas for the external fabric on her bag. This is Danielle's Large non-reversible version. I'm sure she will love it - I used to be a teacher and a bag like this would have been great to carry around all my teaching stuff! This is Kristina's Large non-reversible version. Kristina didn't think she was keen on the binding but now she has finished the bag she loves it. She also said, "I love the size of this big bag and I think it would be great as a nappy bag and I absolutely love the side pockets". 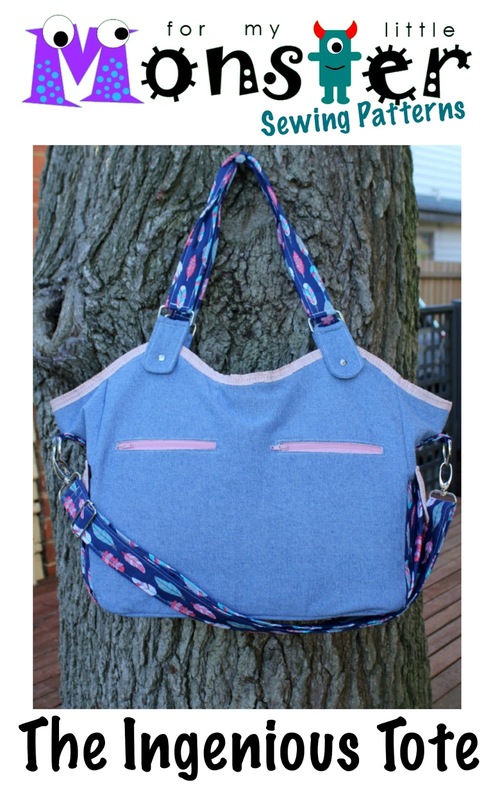 Kristina made this bag for her sister-in-law, and is currently choosing fabric to make herself one! This is Anna's Small reversible version. Anna had this to say about the pattern, "I consider myself to be a confident beginner and found it satisfying to finish this bag. The pattern instructions for installing the bag bottom & bag feet were great. This is my first time installing the bag feet". I'm glad you got to learn something new Anna, and you have done a fabulous job! This is Kathleen's Small reversible version. You can find Kathleen on IG. 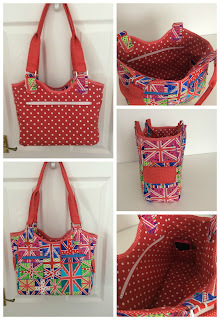 Kathleen said "I absolutely love the tote its a fabulous size and stands up on its own...lovely." This is Barbara's Large non-reversible version. 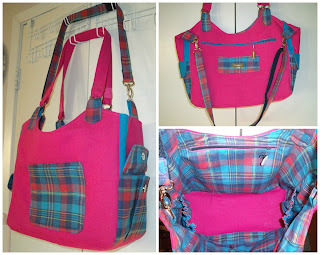 On Barbara's exterior, she has added a pocket to break up the bright pink denim and on the other side she has added a plaid rectangle to highlight "Handcrafted" hardware she has used. 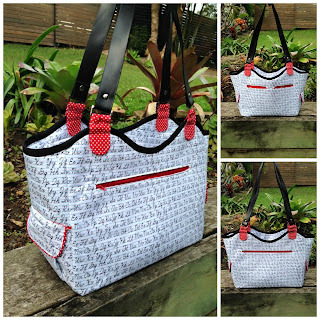 Since the interior fabric was not strong enough to use as the exterior she decided not to make the bag reversible and also chose not to add the pocket flaps to her interior gusset pockets for easy access to the items inside when in use. Barbara also added a key fob between the small interior zip pockets. Barbra is looking forward to making the small version in the near future. This is Mary's Small non-reversible version. This is Janet's Large reversible version. 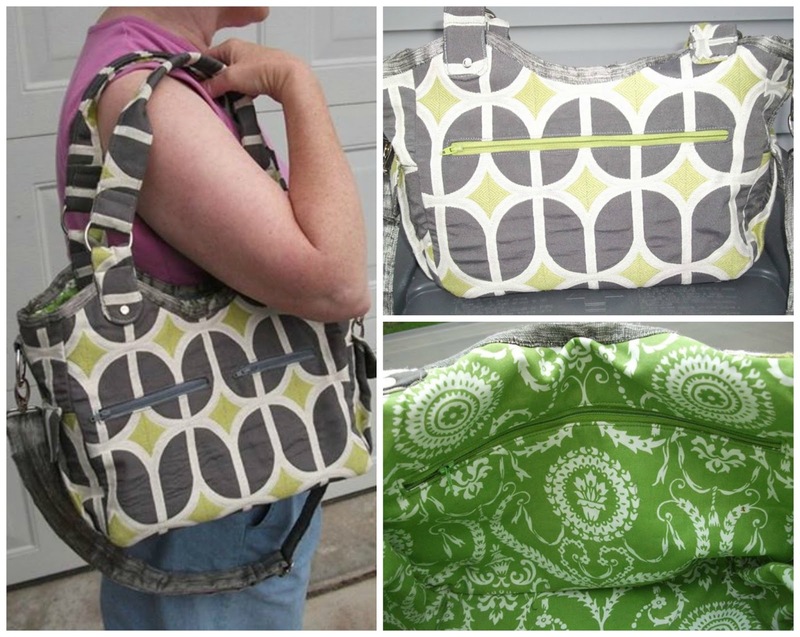 This is what Janet had to say about her bag, "I love how this bag turned out! A great bag for travel with all those pockets!" I'm really glad you like it Janet! This is Margareth's Small non-reversible version. You can find Margareth on IG. 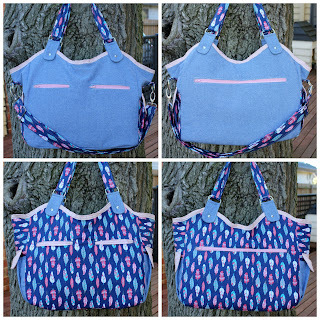 If you what to make your own Ingenious Tote, you can purchase the pattern from my shop, Etsy or Craftsy. I hope I see you creating some Ingenious Totes very soon! Looks amazing Emma, well done! A very cool bag! Looks great for travel too! Perfection! 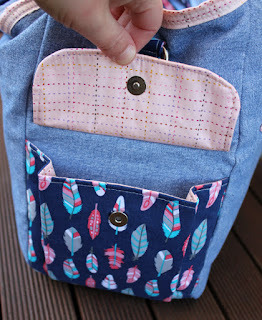 Looks amazing Emma - great idea to make it reversible and to have so many pockets is just super handy. Love it! Your tote does, indeed, look ingenious! I have a bit too much going on for a while, but I am bookmarking for the future! Thanks!